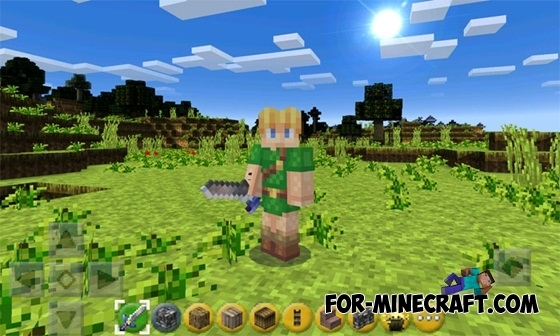 It is a set of textures, which is suitable to all fans of the game series "Legend of Zelda". 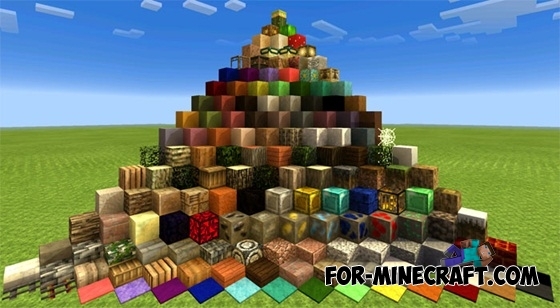 Due to the high popularity of the series, the game should have plenty of fans among of Minecraft PE players. All textures have a medieval design in the RPG pixel style, and the player's default skin has changed on Link - "The Legend of Zelda" hero. In addition to this set of textures are included the shaders that will add realistic sun, beautiful water and lava as well as improved shadows.